Home » Science & Technology » Should governments outlaw VPN use? Should governments outlaw VPN use? VPNs have become widely utilized in many countries around the world. The reason for this is that they allow users to browse the Internet with more privacy and have access to a wider network of websites that exceeds what some governments allow. Despite the many benefits of utilizing a VPN, there are several determinants as well. For this reason, some countries have decided to outlaw VPNs, which has made their citizens that know about VPNs and want them even more. Is VPN justifiably illegal in some countries, or is blocking this technology legitimate to prevent cybercrime? read the information below to learn the details and make up your own mind. What Is a VPN and How Is It Being Used to Circumvent Censorship & Espionage? A VPN is a method that is utilized to browse the Internet anonymously through a “buffer” between your computer and its local IP and the internet. When you use a VPN, the website administrator, and possibly the law authorities, are unaware who you are and where are you surfing the internet from. People from across the globe, including India, use VPN to access material that has been intentionally blocked from them. For example, if you would want to watch the BBC from India you would have to mimic a UK-based IP through a VPN. Another example is the usage of VPN to conceal your online activity. Many users use VPN to engage in torrent sharing, or search use google to search queries that could potentially incriminate them. On the other hand, people use VPNs also just to maintain their privacy. You could be wanting to stay incognito upon searching for sensitive material which is not necessarily illegal. Many also use it to prevent from the internet moguls such as Google or Facebook to build entire online profiles of their activity on the web. Many claims that VPNs can be very dangerous in terms of individuals that would like to hack into government systems, coordinate international terrorism schemes or make illegal financial transfers. I would disagree to that statement, because when you are talking about organised crime made by computer savvy groups or individuals, there’s a slim chance they will be using commercial VPN to mask their activities. There are smarter ways to do it that give a higher level of anonymity for user. Where is a VPN Particularly Popular? A VPNs popularity greatly depends on the country where the user actually resides. For example, in Argentina, 44% of VPN users do so to have access to better entertainment content and individuals residing in Japan 31% of VPN users use them to keep their anonymity while browsing the Internet. In Russia, 36% of VPN users prefer to access restricted download and torrent sites. In India, the VPN use is 55% for entertainment purposes. However, the vast majority of countries that are using VPNs for non-censorship reasons tend to do so for the better entertainment options that has come about due to the ability to watch digital movies and television shows online. Why Do Some Governments Block Access to VPN and How? Currently, there are many governments that have blocked VPN usage. Countries that only approve government authorized VPNs are: China, Russia, Iran, and Oman. The countries that have fully banned VPNs are: North Korea, Belarus, Turkmenistan, Iraq, Turkey, and UAE. The trend in these particular countries is the tendency for government censorship in terms of international news and social media sites. While countries around the globe use various reasons to justify blocking VPNs, the primary reasons are associated with heightened concerns about Cyber Security and sensitivity to their citizens learning about international news or utilizing social media sites. Governments that opt to control everything that their citizens see on the Internet has a great deal of power and influence over their citizens that the international community cannot always bypass. To some regimes, this is an ideal way to maintain power by restricting the access to information. Even though not every government tries to censor information from their citizens, they do also consider blocking VPNs to keep their citizens and government programs safer from hackers. Is there a Way to Find a VPN which Is Not Blocked in These Countries? 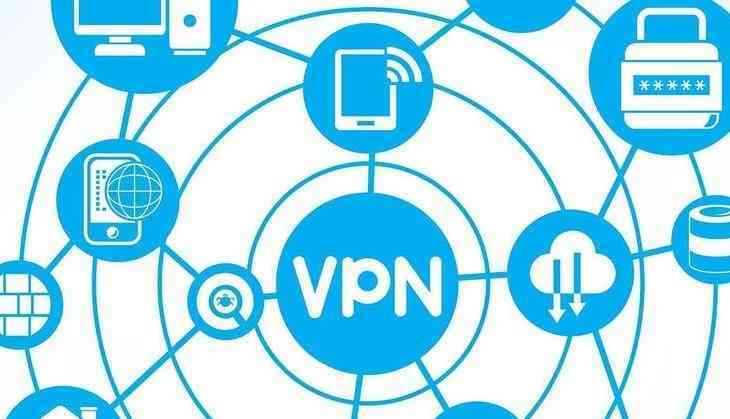 It is absolutely possible to find VPN softwares and VPN mobile apps that are not blocked in countries with heightened sensitivity towards VPNs. In terms of Mainland China, it is wise to download the VPN application before you go to Mainland China and power it up once you get there. Additionally, there are some VPN providers that will have an alternate downloading page that is not blocked by the government that allows for downloading the VPN while within Mainland China. Examples of providers that do work in China are VyprVPN (with a different website) and HMA VPN. Bearing all of this in mind, it is still best to download the VPN before entering the restricted country to avoid having the downloading page of the VPN company be completely blocked. There are many governments in the world that have decided to block VPNs. While these governments have varying reasons, many of those reasons are to shelter private citizens from the risk of hackers. That said, there are governments that actively try to block information that could be harmful to their regime from their citizen’s computers. The VPN is an interesting debate because it is both beneficial for enhancing the lives of citizens, yet also dangerous to their security. Conversely, the VPN is something easy for governments to utilize to influence their citizen’s right to access information. Now that VPNs are really starting to take off, there will be new brands on the market for users to access who want the privilege of browsing the Internet on their own terms anonymously. It will be interesting to track how governments that favor blocking VPNs respond to these newer and stronger VPNs that keep being released in the coming years.